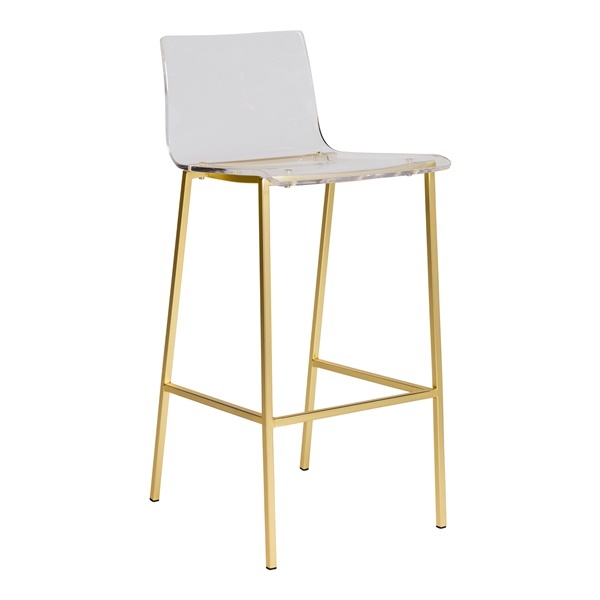 The Chloe Bar Stool adds a bold modern touch of artistry to any bar space, while still maintaining a sleek, minimalist profile. The stool’s slender, graceful base is crafted from chromed steel for added durability and a sophisticated shine, while a built-in footrest adds support. The stool’s seat is crafted from a single piece of ½-inch thick polyurethane, which is transparent for added visual interest and a cool, futuristic look.